A great fashion sense is when you know how to dress differently every time with what you have in your wardrobe. Smart amalgamation of those clothes can give you the desired look. But what is that you must have? 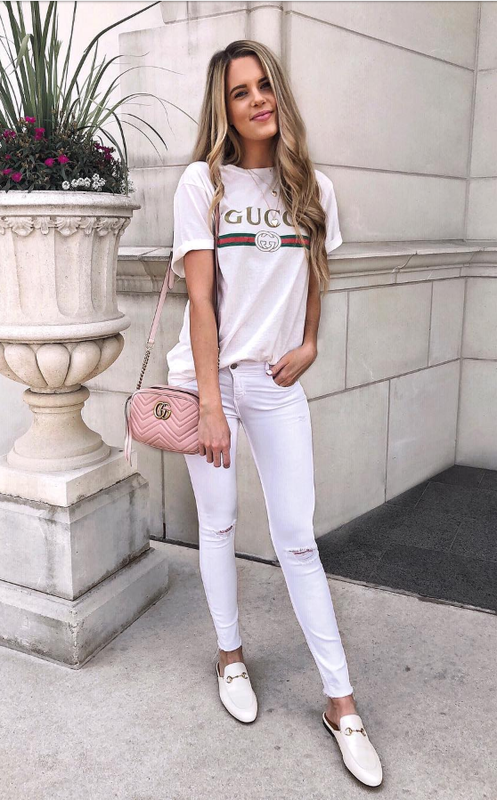 Certainly, there are some basic clothes that you “must have” like jeans, white tee, white jeans, denim jacket, b&w stripes tee, knee length skirt and there are few more to the list. But there is something with wearing whites, it looks fresh, stlylish and elegant. So, we have curated totes different and stylish ways to wear the white jeans. And you will be amazed to find out that you can create simply elegant to the cool and confident look from that one white pair of jeans. The loose knotted stripes shirt with the white jeans and a great smile adds positive vibes to the whole look. When you’re meeting friends it has to be comfy. Try a nice tee with your jeans, preferably both white. It will look refreshing. Any tops with pastels or bright colors will look lovely with the white pair. We dress up for every occasion then why not for shopping? Plaids is also a must have then you may have it in peplum or shirt! A combination to stay forever. Yet another from evergreen fashion. Give the above nice look an edge by adding accessories that pop out. Here is the red pumps. With just one pair of denim jacket and white jeans, you can create three different looks. What’s your pick for airport style, cool or elegant? 18. Pair your white jeans with shade of grey for winter |summer|autumn. Style it up in four different ways for winter look. Badass look of all time. Now, you can wear white jeans in so many ways for all the seasons and different occasions.